Gas discharge tubes dissipate voltage transients through a contained plasma gas. They have high insulation resistance plus low capacitance and leakage to ensure minimal effect on normal operation of equipment. 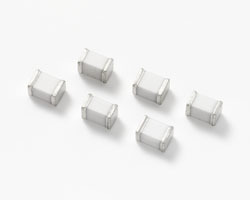 Littelfuse devices offer a small footprint and are available in leaded and surface mount configurations, with high surge handling capability. We offer both low surge GDTs and medium surge GDTs. Their fast response to transient over-voltage events, and ability to dissipate large amounts of energy, translates into reduced risk of equipment damage. The amount of energy dispersed by gas discharge tubes makes them a good choice for lightning surge protection, particularly for telecomm equipment located in outdoor structures.